Where Should You Flatshare In London? So you are new to London but don’t know which borough you should flatshare in? Or are you a Londoner but getting bored of your borough and want to see where else you can flatshare in that fits more to your personality or your lifestyle? 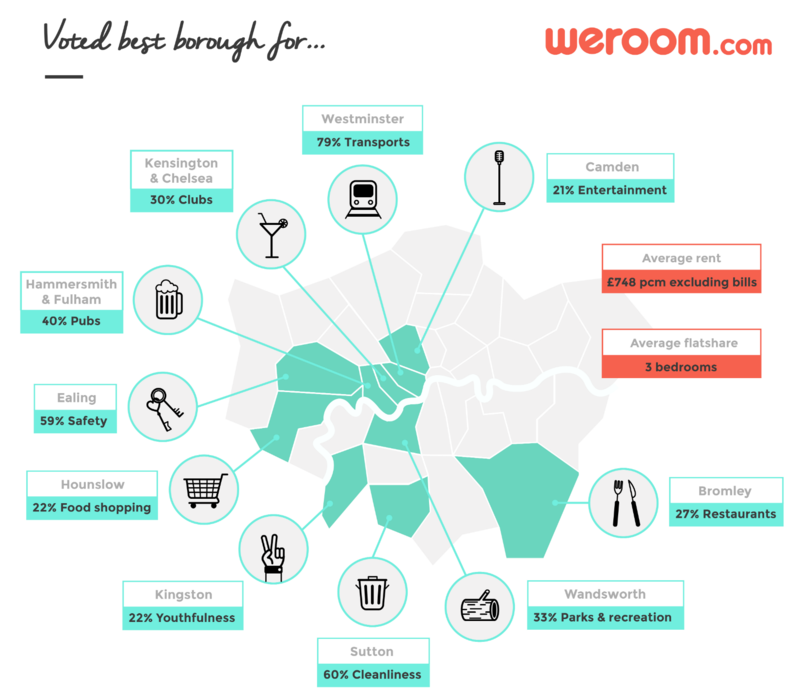 Weroom got to the bottom of this by surveying London-based flatsharers to understand their main reasons for living in their borough and to find out which stereotypes of flatmates ruled their area! If work or studies obliges you to take the transport, you should live in this borough with its well-connected transport system. For club fanatics and those who love the nightlife scene, Kensington and Chelsea is the place to be! You can party all night long with your flatmates in this borough. If you are more into local pubs, check out this borough which has some of the most excellent local pubs according to those flatsharing here. For those of you who want to play it safe, Ealing is a borough to think about as it has a low crime rate. If you love going food shopping or to the supermarket, not only will you be a great flatmate, but Hounslow has been rated for being a great area for its broad selection of supermarkets. Want to hang out with youngsters? Flatshare in this area as there is a concentration of young people living here. Are you a clean-freak? Sutton is a great borough to live in because according to its residents, the area is clean. For tree-huggers and love of the outdoors, Wandsworth is where you should hangout because it has great outdoor areas and green parks. 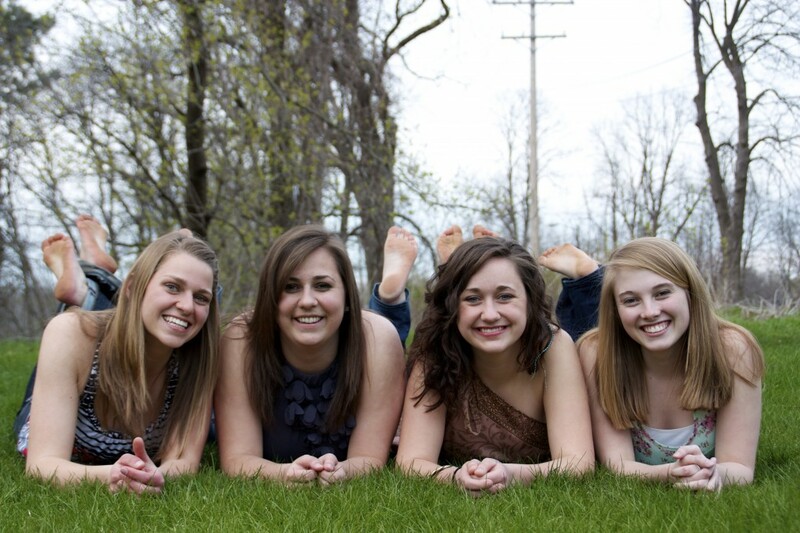 When summertime comes, you can bask in the sun with your flatmates. If you are into gigs, concerts and other entertainment, Camden is the place to be. The nightlife won’t disappoint! For you food lovers, treat your flatmates to dinner or lunch from time to time here! There are lots of independent restaurants to choose from.